This week a $386 million dollar offer for the S. Kidman and Co cattle empire has been lodged. The offer is not only higher than Gina Rinehart’s joint bid with a Chinese partner, it is also the first all Australian offer. Why is this sale attracting so much attention? 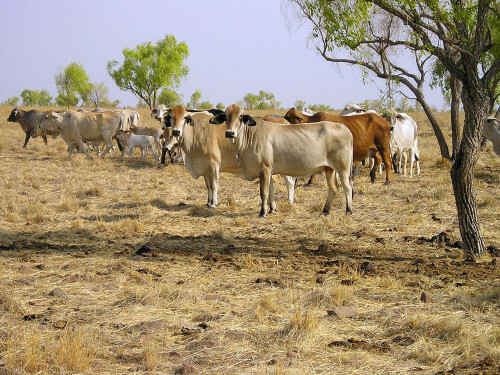 S. Kidman And Co is Australia’s largest private landholding comprising of 101, 000 square kilometers across three states and the Northern Territory. The property was established by Sir Syndey Kidman who was known as the ‘Cattle King’ in 1899. One of the S. Kidman and Co properties, Anna Creek Station, is the largest private cattle station in the world. S. Kidman and Co comprises of 12 major grazing properties on agricultural leases, with most only having 44 years remaining on the lease. For most of the 50+ shareholders of S. Kidman and Co this is simply the sale of an asset. However, for the Australian public, this sale has raised attention sparking debates around foreign investments, national security, and federal politics. How does this new bid differ from Reinhart’s? The new bid is placed by the BBHO syndicate. The syndicate is comprised of four successful Australian graziers, Sterling Buntine, Tom Brinkworth, Malcolm Harris and Vic Oldfield. The bid is the first all Australian offer for S. Kidman and Co and will be the only bid not subject to the review of the Foreign Investment Review Board. Therefore potentially making the sale process faster and final. Another major difference is the all domestic offer by BBHO includes the sale of Anna Creek. Anna Creek was occluded from the Rhinehart offer as previous attempts to secure Anna Creek with a foreign ownership component were denied on the grounds of national security. This is because the property backs onto the Woomera Weapons Test Site. The BBHO syndicate has stated they will continue the S Kidman and Co brand and will triple production while maintaining the Adelaide Head Office. What’s next for the cattle empire? Other current offers including Gina Rinehart’s joint bid will have the right to match the offer. Others are also still welcome to submit a bit and it is expected that the sale will be finalized early 2017.